The B & B Directory www.thebandbdirectory.co.uk includes Bed and Breakfast accommodation, guest houses and hotels in England, Wales, Scotland, Northern Ireland and Ireland. Our easy to read adverts show detailed descriptions of the bed & breakfasts and includes prices, local tourist attractions, facilities and ratings. 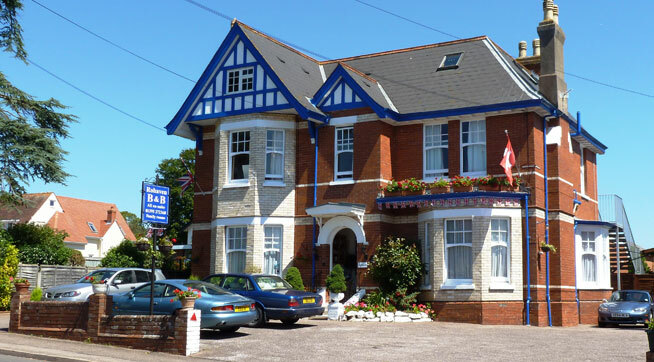 What you will also notice on the homepage is B & B of the month and Featured B & B which is where you will see the B & B of the month (February 2013) Rohaven Guest House located in Exmouth, Devon. If you are thinking of visiting Devon, Rohaven Guest House is located in Exmouth which is known for both a regional and national centre for water sport activities and in particular sailing and windsurfing and now kitesurfing. Exmouth has always been a very popular tourist destination and seaside town since Victorian times and today still maintains its popularity. Exmouth remains a top holiday destination in Devon for so many reasons. Exmouth has plenty to see and do and it doesn't matter if you are 7 or 70 Exmouth has something for you. To find out more about our B and B of the month and its facilities, take a look at our website www.thebandbdirectory.co.uk. Welcome to our B & B Directory online blog. Our website www.thebandbdirectory.co.uk includes Bed and Breakfast accommodation, guest houses and hotels in England, Wales, Scotland, Northern Ireland and Ireland. Our easy to read adverts show details descriptions of the bed & breakfasts and includes prices, local tourist attractions, facilities and ratings. The B & B Directory has informative, detailed Google maps which allow you to view the exact location of the accommodation. Finding your perfect B & B has never been so easy! We also have a shortlist section where you can store all your favourite bed & breakfasts and you can even e-mail your choices easily and simply to family and friends. Local tourist attractions are also listed on the maps so you can plan your whole holiday experience on just our site. The B & B Directory also has a help button on the search page should you require any helpful tips to ensure you find the most suitable lodgings or bed & breakfast accommodation for you. On the search page, there is a section that gives you the option to select preferences for your holiday such as WiFi, dinner available or disabled access, this all assists you with planning the perfect holiday. Why not like our page on Facebook or follow us on Twitter for up to date information in B & B’s available in the UK and Ireland. Keep a look out on our new online blog for more information and updates on our website www.thebandbdirectory.co.uk.